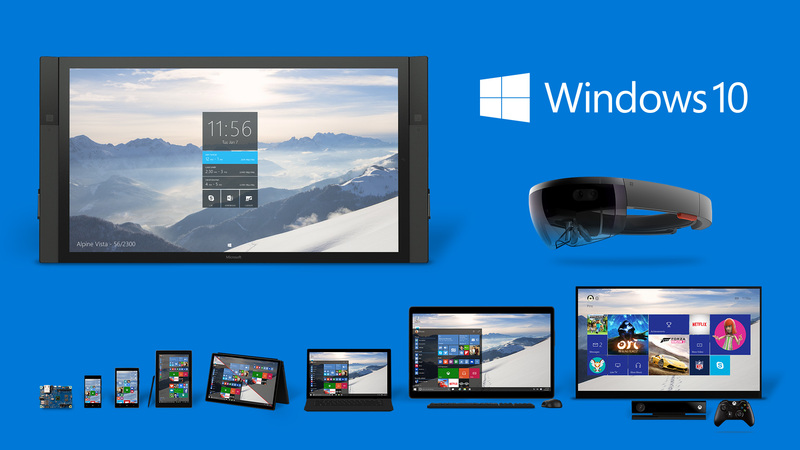 With sincere respect to all the Mac users in my feeds, I’ve eagerly awaited the release of Windows 10 for a few months. It was released on July 29, and I’m waiting another month or so for those initial kinks to be worked out. Early indications, however, are positive about the return of an easy “Start” menu and “drag and drop” options. I am looking forward to a return of efficient workflow. I often wonder where we’d be without technological advances. Generationally, the expectations increase over time, and what I am willing to accept as a late year baby boomer will not be acceptable for babies born this year, or preschoolers starting school this month. That’s probably why I was intrigued with Microsoft’s commercial for Windows 10, titled simply, “The Future Starts Now.” Watch, if you can, the short clip here: http://bit.ly/1MNeM5W Yes, the children of today will grow up expecting much more from their technological platforms. These kids won’t have to remember passwords, or obsess about security. Because God’s grace is available to all. For them, the love of God is meant to be experienced. And bible pages are meant to be scribbled on and shared. And help them share a meal with someone who needs it. And as they grow and get better at things, their faith will too. They’ll do things for others their parents never dreamed of. Because these kids will grow up with God. The Future Starts Now. For all of us. God’s love will transform it. The future starts now. Join us at Christ UMC in Plano to help you on your journey. Outside my church office, on a desk where volunteers gather during the week, there sits a candy jar. The church staff takes turns keeping it filled, so that visitors and volunteers who meet with us can share a tasty treat on their way out the door. Left over candy isn’t very welcoming. After Halloween last year, I brought in my left over candy that didn’t get claimed by the neighborhood kids. I couldn’t understand it – the sour bites looked good from the outside. It wasn’t until I tried one myself that I learned the sourness was just awful. I mean, really awful. Our guests deserved better. This lesson can be applied to other areas of life, too. Our classes, our business presentations, our families: everything works better when we give out thoughtful attention. In other words, if we aren’t prepared for class on Sunday mornings, are we asking our class members to eat left over candy? People have favorites, but they are often pleasantly surprised with variety. I’ll admit it: I love Almond Joy bites. They remind me of summer months, visiting my grandmother in Arkansas, and walking to the convenience store with my sisters, quarter in hand, to buy an Almond Joy. There was nothing about that smooth taste I didn’t like: the coconut, the dark chocolate, the almonds. Given a choice, I’d choose Almond Joy candy bars every time. But every once in a while, Almond Joy was out of stock, and I had to choose something else. That was when I learned that variety can be a good thing. Sometimes we get in that habit with our Sunday class planning. We know what our classes like, and we don’t want to change. How many times have I heard that comment!? But maybe – just maybe – the class members want a change. Maybe, with a little creativity and planning, we can mix things up and put those York Peppermint Patties in the candy jar. When we put YPP in the jar, our guests are pleasantly surprised and remember that life is about a lot more than just Almond Joy, day after day. Those York Peppermint Patties are devoured before the end of the day on Sundays! Maybe your class really likes Adam Hamilton DVD’s. But perhaps a short 4 week devotional on a particular theme is in order. Maybe your class likes studying the books of the Bible in detail; but perhaps setting aside time to see film versions of those books can bring a new perspective. Give your class variety in class programming. Email me at cathy@cumc.com if you want help with that. Not everyone can eat peanuts. I am not sure the science of it all, but all of these peanut allergies have really exploded in the last 20 years or so. As a result, we need to be aware that not everyone likes peanuts, and in some cases, peanuts are life threatening. That brings an interesting perspective to how we select the candy. Likewise, we should be aware of ‘peanut allergies’ in our classes. Are there individuals who are going through a difficult time, and need our prayer and attention on days other than Sunday mornings? Did someone inadvertently ‘serve someone a peanut’ not realizing there was an allergy? The point here is in the solutions: we won’t know if there is a peanut allergy in the room if we don’t allow time for everyone to speak. We won’t know if there is a peanut allergy if the only time we are together is one hour a day on Sunday morning. It’s only when a person is comfortable in a relationship, when a bond of trust has been formed, when we spend time with people, and when we listen, that we truly understand the reason that someone doesn’t eat peanuts. More importantly – when we listen and understand – we might even show compassion the next time we select the candy, and offer an alternative for those with a peanut aversion. Many people (myself included) feel a need to sneak a treat. “I shouldn’t, but I will.” “This is something I need today.” Or, even better, the silent, unspoken word, as the lid barely clangs against the glass jar upon opening and closing. Maybe no one will notice. 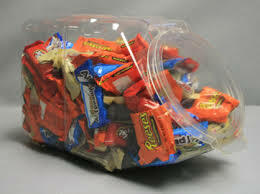 That candy jar has heard it all – spoken and unspoken, the guilt and the excitement, the disappointment that the last of the ‘good stuff’ has been taken. I can’t help but think that what we yearn for in the candy jar can always be delivered in a talk with God. “I need you today.” “I’m not going to talk, but I just need to listen.” “These are my favorites.” I’m not in any way distracting you from sharing the candy in the jar; I just want to remind you that, like the love and grace God offers, the jar is there unconditionally. We love you, and God loves you. Take the candy – like, God’s love, it’s there for you, any time you need it. Having spent one week sick in bed, and another week in Santa Fe at the hospital with my husband, Steve, I wanted to have some special time with our son, Jack, when we returned to Dallas. Under normal circumstances, Steve and I are not “movie-goers.” We choose to wait for movies to appear on instant video or on demand, watching from the comfort of our own home, and with the ability to click “pause” when needed. Even when we dated in college, we rarely spent our times in a movie theater; personal preferences, I guess? Our son Jack, however, really likes to see movies on the big screen. 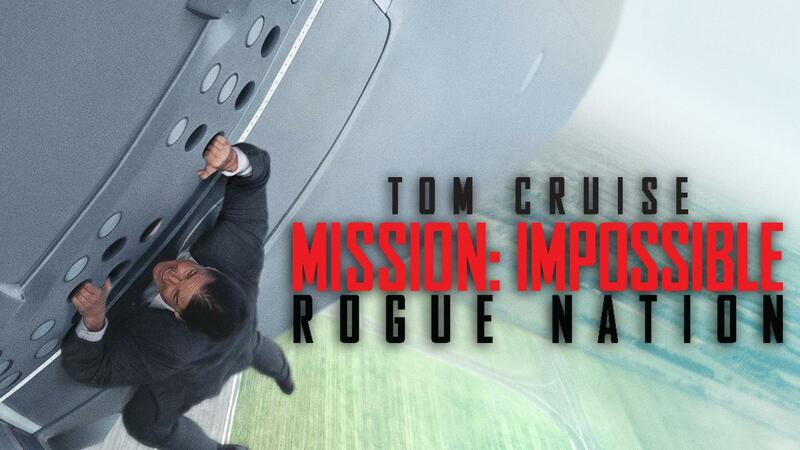 So, upon our return, and while Steve continued to recuperate, I promised a trip to the theater to see “Mission Impossible: Rogue Nation.” If I’m going to pay a lot of money to see a movie in a theater, it’s going to be a high action movie, with great stunts and visual effects! I was especially interested in the opening scene, shown above. Ethan Hunt (played by Tom Cruise) was determined to stop the ‘rogues’ from stealing a large pallet of nuclear weapons. He was so determined, in fact, that he ran down the runway, jumped onto the aircraft, and latched himself onto the door, all while the aircraft was lifted into the air at amazing speed. Hunt had no choice but to hold on, waiting for his partner, Benji (played by the ever charming and funny Simon Pegg), to open the door by way of improbable technology. Of course, the door opens. Hunt needed help, Benji heard him, and opened the door. I don’t know how that happened; the details are far lost on me. What I do know, however, is that Hunt had faith in his friend, and his friend pulled through. Watching Hunt hang on, while the plane rose to cruising heights at speeds faster than I can even imagine – I realized that’s the kind of month I had in July. I just had to hang on, knowing life would one day be normal again. In the meantime, though, I had faith in my friends, and that God was my companion. I knew that eventually, the door would open and I would get a long overdue breather. Later in the movie, coincidentally in the final scene, Ilsa Faust (British undercover, played by Rebecca Ferguson) looks at Hunt and declares, “You know where to find me.” Her line is a play on a previous scene in the movie, which I will not detail here, lest I spoil the movie for you. The concept of “You know where to find me,” though – that line brings the intro scene for me to full circle. See, when I think of hanging on, despite incredible odds and difficult circumstances, I can’t help but look for God, and know I’ll find him. In the Gospel of Matthew 28:20b, Jesus reminds us “I will be with you always, to the end of the age.” Jesus, Son of God, is there with us, as we hang on, and as we ask for comfort. God is there, all the time, working with us and through us to bring on the peace that passes all understanding. And God is there, working through friends, who open the door for us when we ask. I’m thankful that God is with me as I hang on. I’m thankful to each one of our friends who sat ready and able to open the door, and who took our hands, ready to pull us in from the rushing winds and climbing heights of our troubling month. “You know where to find me.” Yes, I do, God. Not only do I find you in prayer and solitude, but I find you in the lives of friends who open the door when we need shelter the most.